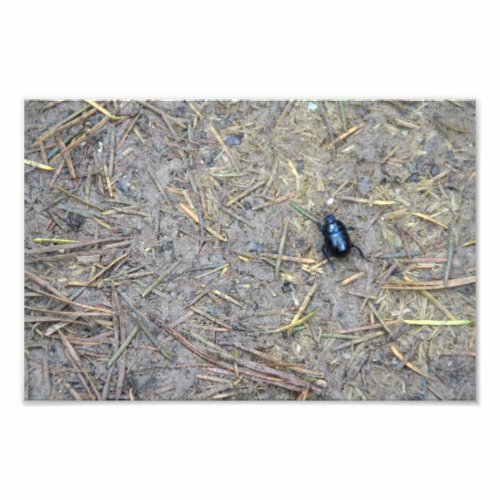 A beetle crawling over the ground through a forest in autumn. I think it's a beetle of the kind Chrysolina coerulans, native to continental Europe and quite common here. I could not find an English name, but in Dutch it's known as blauw muntgoudhaantje.